A Girl and Her eBooks: The Matchmaker Series Collection (books 1-3) by Regan Black - $0.99 Goodie! 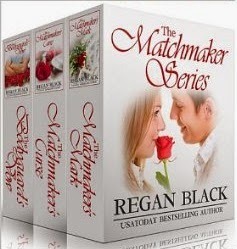 The Matchmaker Series Collection (books 1-3) by Regan Black - $0.99 Goodie! Grant Barclay came to Charleston hoping the Matchmaker would help him identify the magic that will preserve and protect his werewolf pack's territory. What he got was a cursed mark from the Matchmaker and no idea where to find his soulmate. When Maeve King's best friend becomes a legendary Matchmaker helping mythical beings find their soulmates, it seems like tales of magic are coming to life all around her... and quite possibly within her. 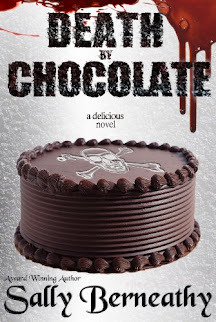 Good help is hard to find... As the newest Matchmaker, Amy Campbell soon discovers the position isn’t all roses and happy endings and she needs a bodyguard to help her navigate the pitfalls and dangers. Frustrated by the new Matchmaker's inexperience with her inherent magic, Mac wants only to send her out of his life as quickly as possible, but an ancient vow could undermine his goal.